On the other hand, artsanddesigns had a slightly different version. This stitch is also known by the name of link stitch and I think the above picture justifies the name. 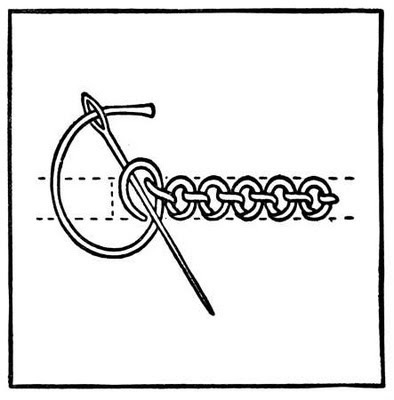 The arrow points towards the original stitch as shown in Wiki. Click on the photograph for a better view. If the knots are placed slightly far apart or pulled a little tight , we get the other variations.Have a look at the close up below. Step 1 : Come up at a point A on the reference line. 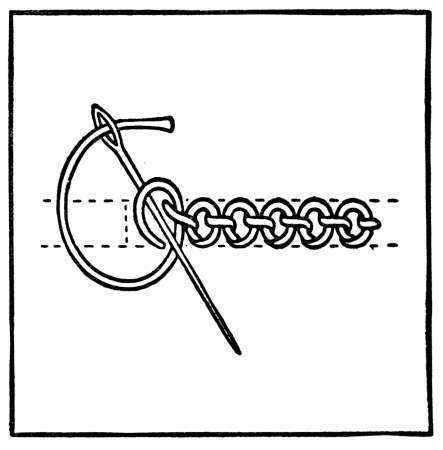 This stitch is worked from right to left. Step 2: Insert the needle at a point B above the line and come out at the point C. Make sure that the gap between B and C is not too large. If it is too long, the knot will have two legs jutting out . Step 3: Pull through to make the base stitch. Step 4: Now starts the knotting part. Pass the needle through the base stitch from B to C ,without piercing the fabric. Step 5: Pull through- but not completely, to form a small loop. Step 6: Now pass the needle again in the same direction (B to C ) but this time through the loop only .Do not pass through the foundation stitch. Step 8: Repeat from step 2 to continue. In the next post ,I'll show you where I've used this stitch. I hope the steps are clear enough for you to try. I've used it for outlining, but are there other possibilities? Very clear step by step instructions. Thank you. Deepa I am from Brazil, Muzambinho, Minas Gerais and I really happy for your sharing, about the stitches, and your beautiful work, so inspiring. Great tutorial Deepa - I'm going to have to try this stitch...thank you. your tutorials are always so tempting! :) I'd pick up the embroidery needle, but there's so much unfinished business in my studio:( getting ready to make a tute myself, I can appreciate a well explained one with such clear instructions! A lovely new stitch, I may attempt it on my next 'creation'! Thank you. 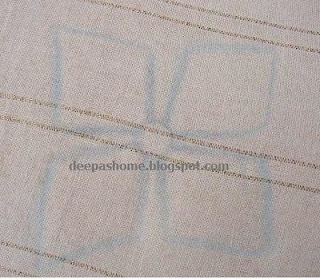 Thanks Deepa for showing the stitch so clearly. Here is another thing for me to learn. I know a lot of stitches but this one is different. I will use it sometime in my work. Thanks Deepa. Very appreciated lesson. These are the clearest instructions I have seen! Thank you so much for sharing your skills and passion.